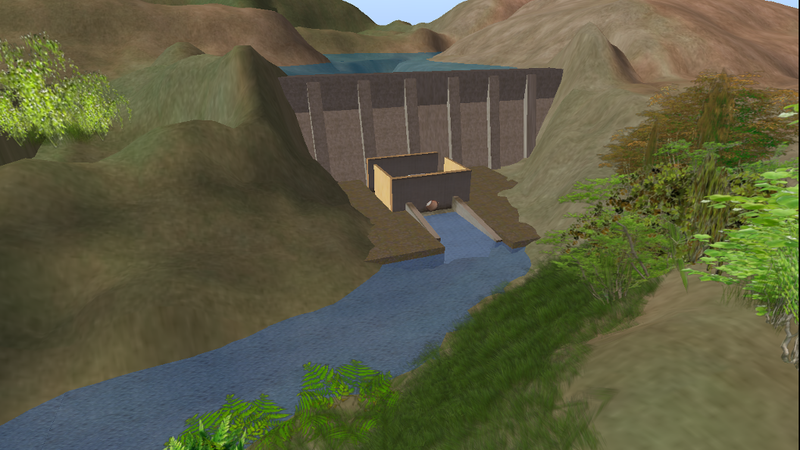 Linkwater is an estate of virtual OpenSimulator regions on its own grid. 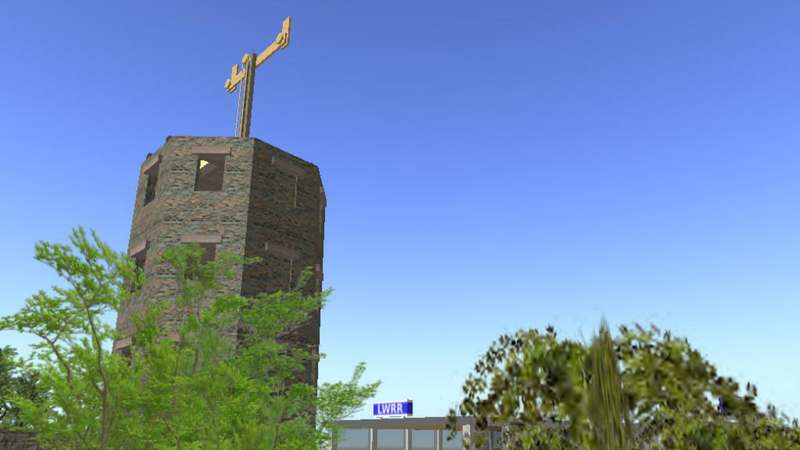 Linkwater is urban and free, and geared towards serving the community. Free land on any of the sims. Have an idea for the greater hypergrid community? Got a dream, but no server? Make it reality in Linkwater! 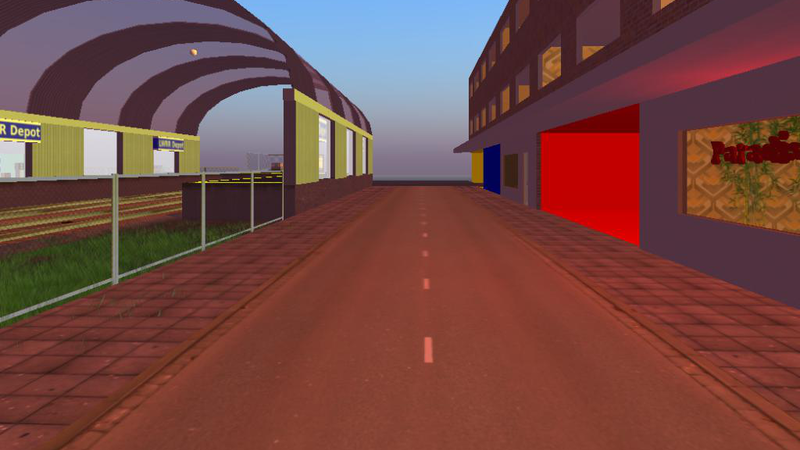 If you are new to the hypergrid (or new to virtual worlds), things may be slightly confusing at first. No worries, we've got you covered with tutorials. 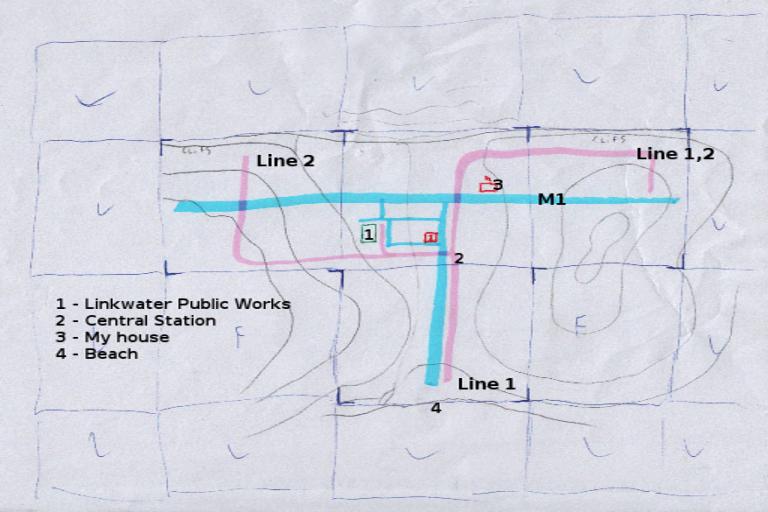 By accident, two days after the appearance of a few new regions on the Metropolis grid, initial development plans for the Linkwater estate have leaked from the LWPW network. The plan shows two trainlines: line 1 from east to south and line 2 from east to west. Both will call at a central station positioned in the middle. Also shown and described in the accompanying documentation are plans for an LWPW warehouse. 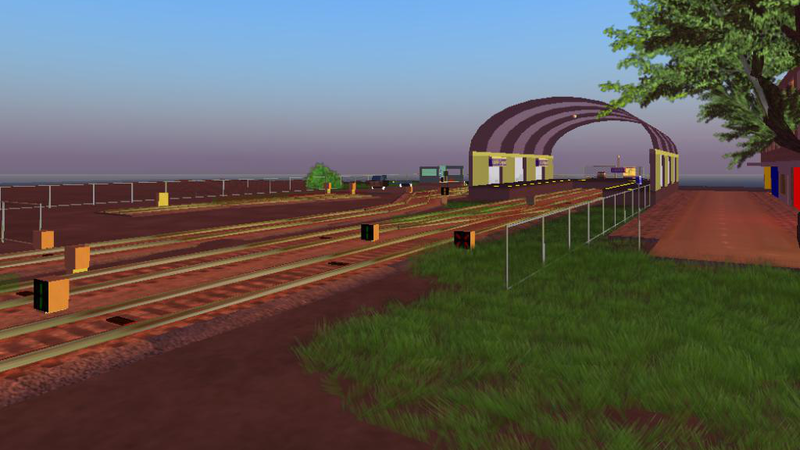 The documentation mentions the construction of a travel agency, real estate agency and railway depot, but no details as to their location are apparent from the plans. What was lacking as well was a timeline. This reporter will keep a close watch and report any new developments. za 13 december 2014 - Tom Frost - «LWPW».